Links to purchase this book after the review. After thirty-five years with the LAPD, Peter Decker took his well-earned pension and a supposedly softer job in a small town in upstate New York. So much for wishes. Now two years later and a homicide in each, he now has a third, when residents complain about vandalism and a body is discovered in the area. This discovery leads Decker, with the help of his wife Rina Lazarus, on a wild chase involving a twenty-year-old double murder and a robbery of a jewelry store in a nearby town. Complicating the task of finding the murderer is the fact that Decker needs the cooperation of the police department of the neighboring town, whose chief of police was the one who made his reputation in solving the old case. Another complication is that the persons convicted of the robbery-murder, one of whom is the father of the victim serving a twenty-year term and providing Decker with no help. 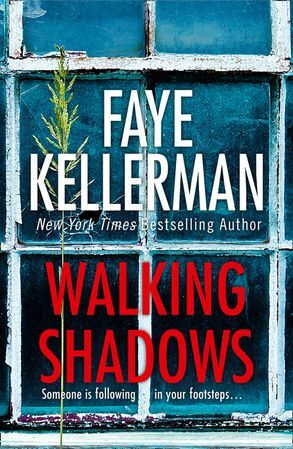 It’s kind of hard to believe that Walking Shadows is the twenty-fifth novel in the series. I guess it has stood the test of time. Like its predecessors, the novel is a police procedural in which Decker logically solves the crime step by step, applying logic, and asking questions, lots of questions.